How To Find Out Whether You Are Affected? If you see the record count in some unusual numbers like over 1 million records, then you are affected. It's important to correct this situation, else you will quickly run out of disk space. 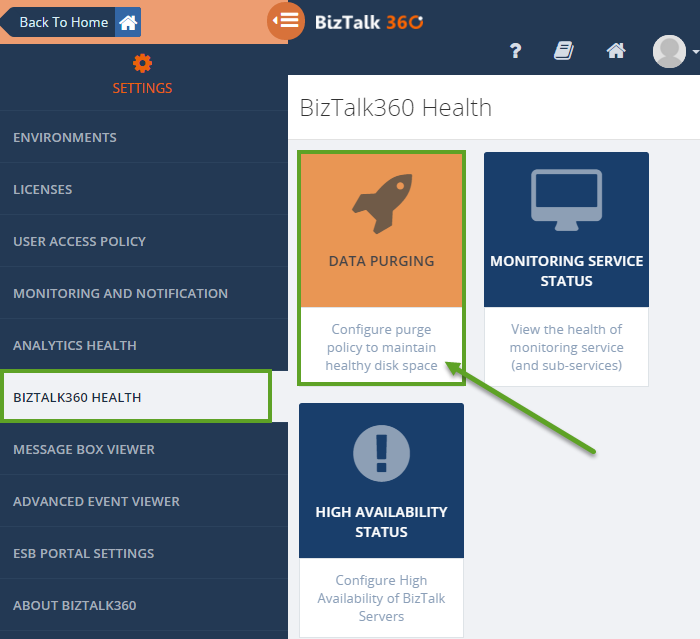 Out of the box, BizTalk360 comes with it's own routines to clean up the data based on the purging settings (in the UI under Settings > BizTalk360 Health > Data Purging). First suggestion is to reduce the number of purge days. So that the data will be reduced. 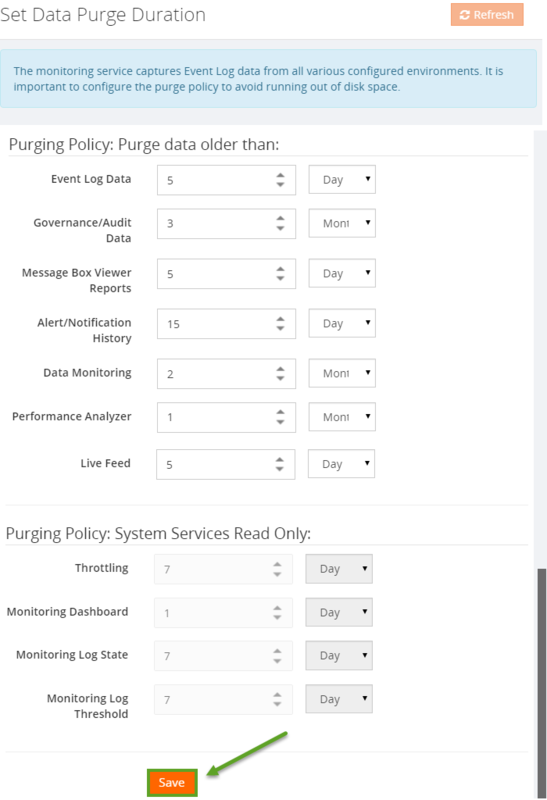 Until v5.0, we called a single stored procedure (sp_b360_admin_PurgePolicies) from our monitoring service which takes care of all the purging. In v6.0, we improved the logic by splitting it into multiple stored procedures (sp_b360_admin_PurgePolicies) which takes care of various parts of data purging. For the more recent versions of BizTalk360, you can use the stored procedure sp_b360_admin_CleanupDB to manually purge the database in case of large database growth.